Raw Mango Chutney is simply tongue tickling. Raw Mango Chutney is very easy to make. Raw Mango Chutney is delicious as a spread, dip, or very well goes with any Indian flat bread. In this chutney Raw Mango and Jaggery are used so there is a sweet and tangy taste. Even you can use this chutney in chat, snacks, or used like ketchup. Now a day’s Raw Mangoes are easily available in any Indian vegetable shop, so no need to wait for mango season. Here are the top health benefits of mangoes. 1. First blend chopped Raw Mango, cumin seeds, garlic cloves, red chili powder and salt. 2. Now add grated jaggery and blend it again, make a smooth paste. 3. 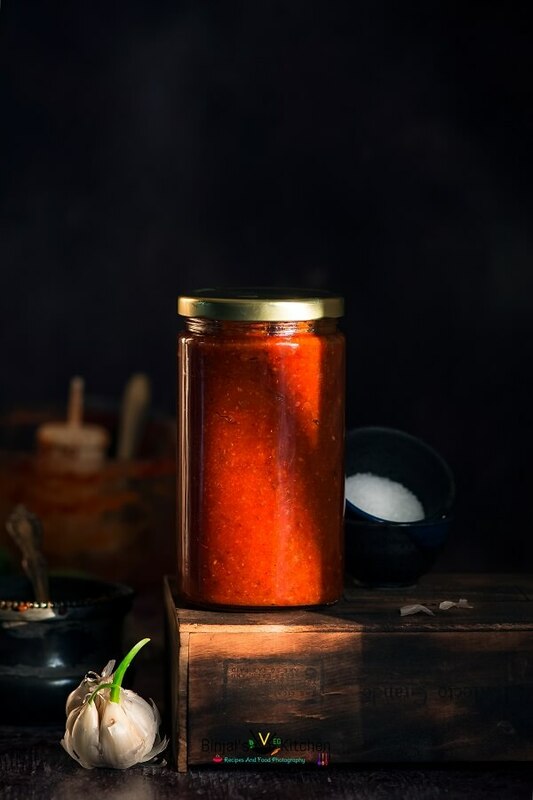 Remove prepared Raw Mango Chutney from the blender and store in a jar. • Adding spice level is as per choice. • It can be stored in the glass jar in the refrigerator for up to one- two months. Raw Mango Chutney is simply tongue tickling. Raw Mango Chutney is very easy to make. 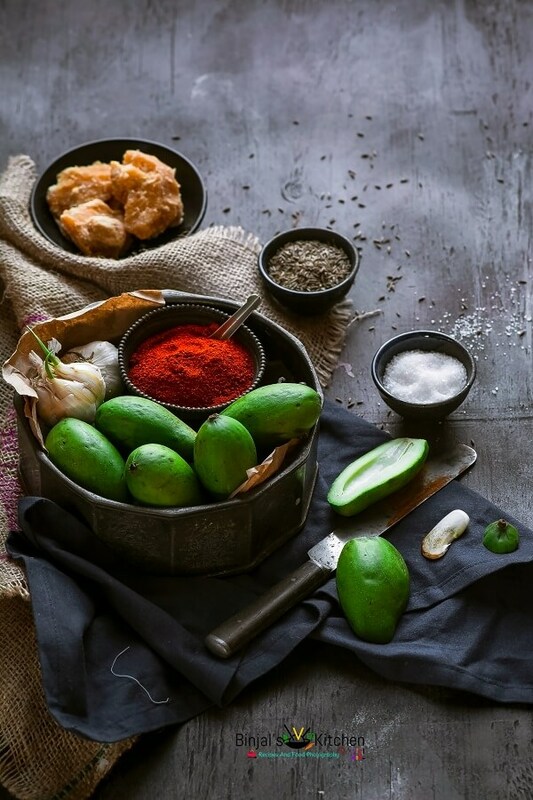 Raw Mango Chutney is delicious as a spread, dip, or very well goes with any Indian flat bread. In this chutney Raw Mango and Jaggery are used so there is a sweet and tangy taste. First blend chopped Raw Mango, cumin seeds, garlic cloves, red chili powder and salt. Now add grated jaggery and blend it again, make a smooth paste. 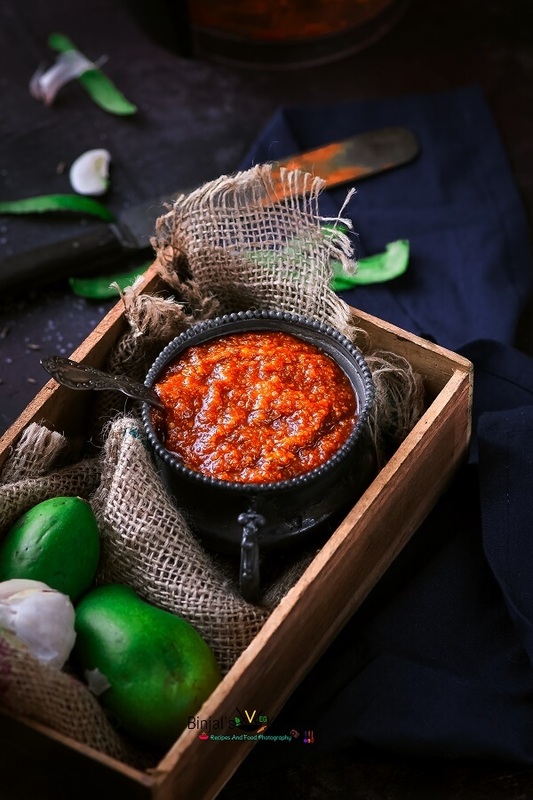 Remove prepared Raw Mango Chutney from the blender and store in a jar. We make Raw Mango Chutney often, but my recipe is much different than your’s. With raw garlic and red chillies, I need to give this one try. Sounds yum! We make Raw Mango Chutney often, but my recipe is much different than your’s. With raw garlic and red chillies, I need toi give this one try. Sounds yum! yes Aru no need to cook. yes no need to cook. Wht else cn v b put in place of garlic? garlic gives tangy spicy taste, but if you don’t like you can use little ginger or simply skip it!! Yummy!! going to try it soon. thank you Antonet!! do try and let me know how it is!! This is a quick and easy recipe. I note that you don’t cook the mixture which is unusual. 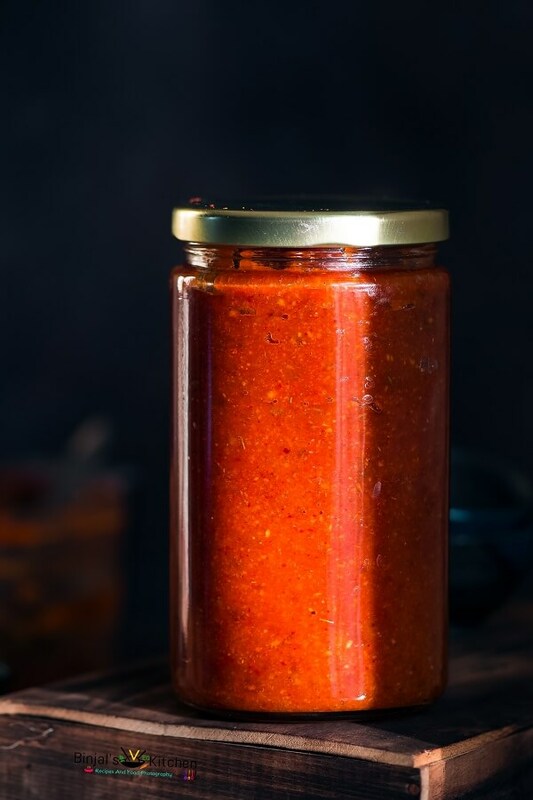 Love mango chutney, never made it myself before though – this is totally something I need to try! Thanks Thalia, Plz try and let me know how it is. I am sure you will like it.